The West Coast Book Prize Society announced the finalists for the 2016 BC Book Prizes yesterday — and we’re thrilled that Specimen by Irina Kovalyova has been shortlisted for the Ethel Wilson Fiction Prize! The Ethel Wilson Fiction Prize is awarded to the author(s) of the best original work of literary fiction, and the author must have lived in B.C./Yukon for the past 12 months or have lived in B.C./Yukon for at least three of the past five years. The stories in Specimen are a unique exploration of science and the human heart; the place where physical reality collides with our spiritual and emotional lives. 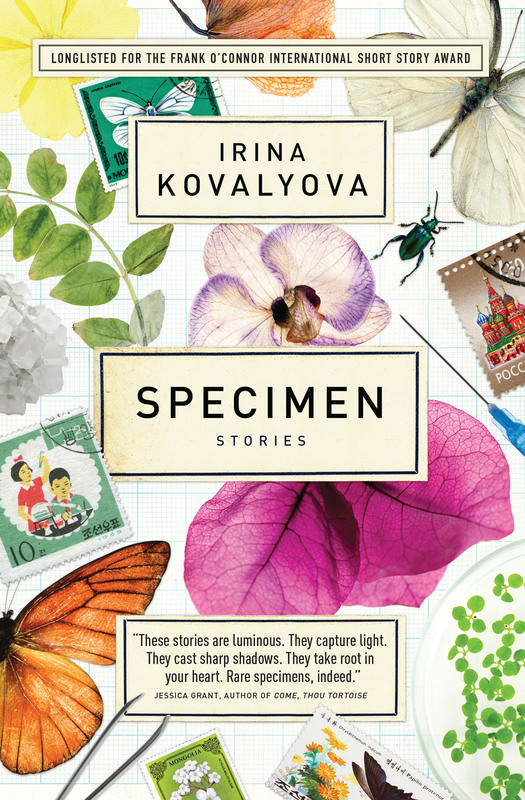 Read our interview with Irina Kovalyova to learn more about the collection of stories included in Specimen, along with her early inspirations and influences. The winner of the Ethel Wilson Fiction Prize will be announced on Saturday, April 30, 2016. Congrats on making the shortlist, Irina!